It is required to contains necessary Docker instructions which are used by Docker to create image. 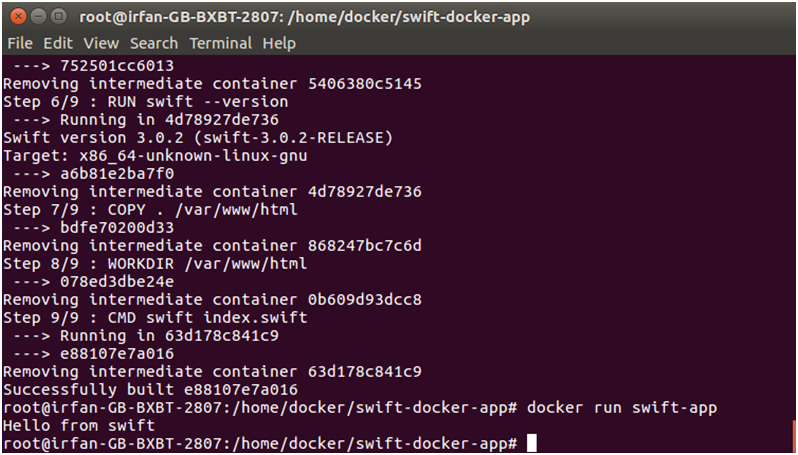 Afetr creating a Dockerfile, we are creating a Swift file. This includes only one print statement that will produce the output when Docker images is run. Now. Follow the following command to build Docker image. 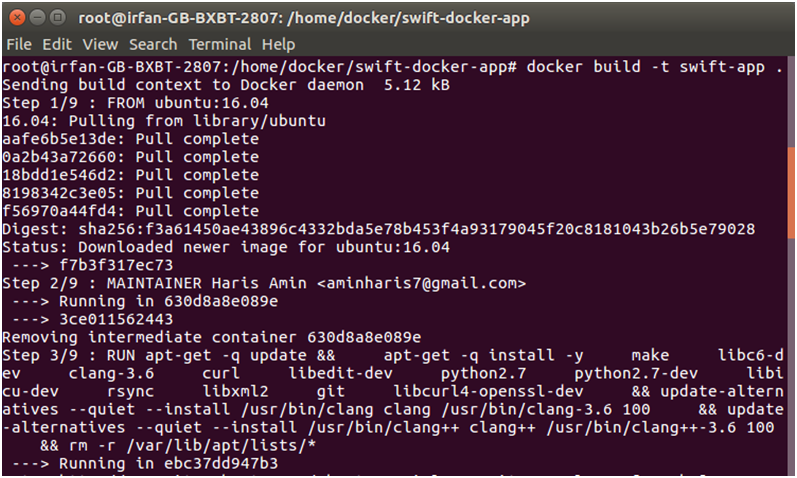 $ docker build -t swift-app .